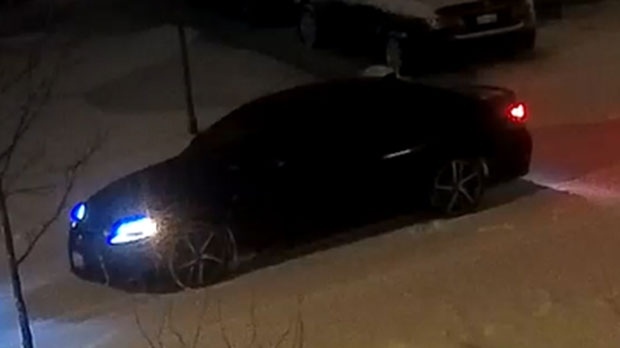 Police have released video footage of a suspect wanted in connection with a shooting at a residential area in Vaughan early Wednesday morning. Officers were called to Annsleywood Court, located near Highway 27 and Islington Avenue, shortly after 1 a.m. for reports of gunfire. Multiple shell casings were found in front of a residence in the area, police said. Security camera footage released by investigators Wednesday afternoon shows a black sedan stopped on a residential street. 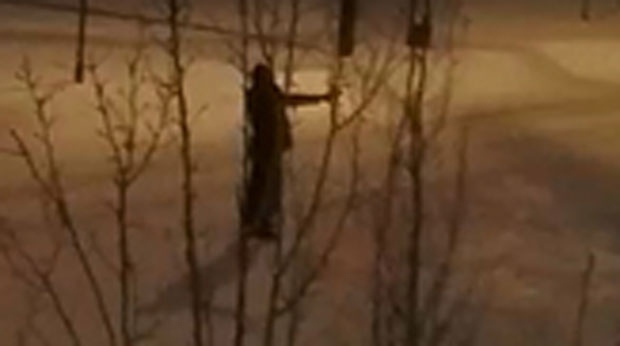 In the video, a suspect is seen getting out of the vehicle from a rear passenger door and slowly walking up the road, stopping in front of a home. The suspect can then be seen pulling out a gun, pointing it at the residence and opening fire. After the shots are fired, the video shows the suspect run back to the vehicle and flee the area. Police are describing the suspect as a male who walks with a limp. 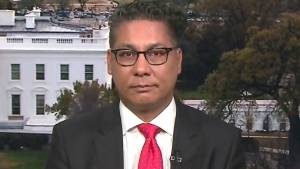 He was last seen wearing dark clothing with a hood. The vehicle has been described by authorities as a black, four-door sedan. Anyone with information is being asked to contact York Regional Police or to reach out to Crime Stoppers anonymously.